Just the other day I was talking to my son’s third-grade teacher about spelling. I was wondering when they were going to do the typical “learn word, study flash card, and regurgitate material” spelling tests that I became accustomed to as a kid. Mrs. Madsen explained to me that the best way to learn spelling was by tackling it authentically. Now, I know what authentic means (and also how to spell it), but in this context, I was a little unsure. She explained that teaching spelling in conjunction with writing—where kids edit their own work and adopt spelling principles by applying them to the task at hand—is an authentic way to learn, problem solve, and develop a life skill. Okay, I get it. It’s about putting purpose into everything we do. Not just because we need to spit out a bunch of words on paper. Spelled correctly. 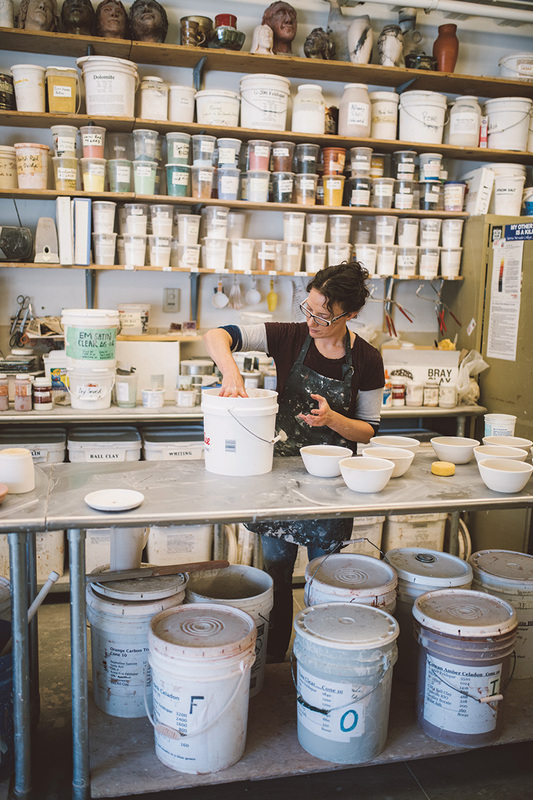 As the manager of the ceramics and multipurpose room at the Center for the Arts in Jackson, Sam also knows a thing or two about working with different media. He has more than dabbled in everything from sculpting to pottery, and from welding to mold making. 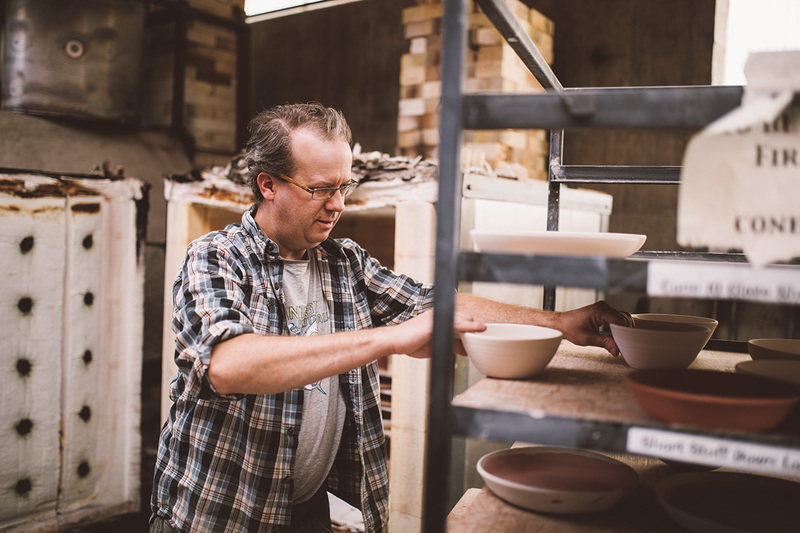 It’s the couple’s multidimensional skills, and their complementary MFAs, that allow them both to approach their careers as utilitarian potters with a problem-solving attitude. 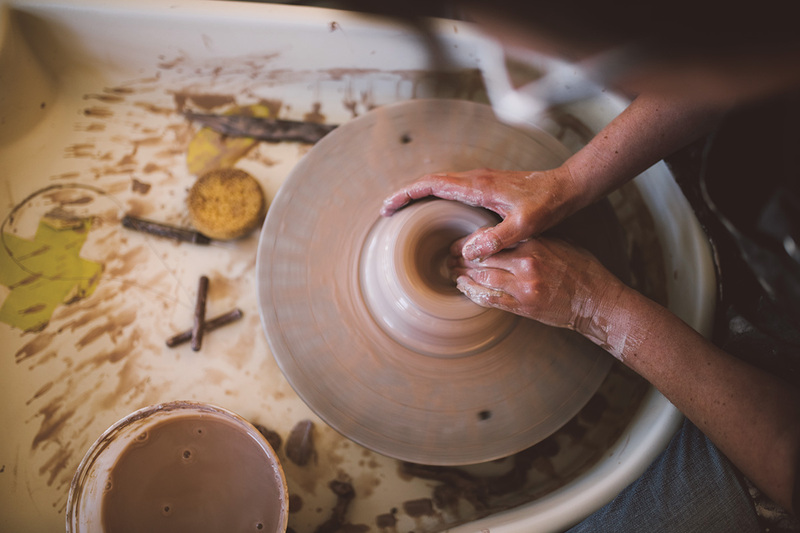 It started in 2008, when Jenny, who was teaching for the Art Association of Jackson Hole at the time, was approached by one of her students to make water pitchers for the Four Seasons’ guest rooms. At the same time, The Wort Hotel approached Sam for a similar gig. Together, they carefully crafted hundreds of pitchers with handles that would bear the weight of both water and pitcher, while also allowing them to pour correctly. Jenny and Sam got good. Real good. Today, Sam’s “parachute career” in art admin and his biannual Teton MudPot Sale have allowed the couple to continue solving problems for others with their craft. Most recently, Jenny’s pottery can be found in area restaurants, for which she creates pieces that jibe with chef requests for certain dishes. She enjoys being part of the locavore movement—local food being served on local art—and acknowledges that chefs were the missing link to her success. Sam’s role at the Art Association and his creation of Jackson’s staple pottery sale also solves community problems, as he nurtures budding artists and enables them—just like he has done for himself—to earn an income from their craft. 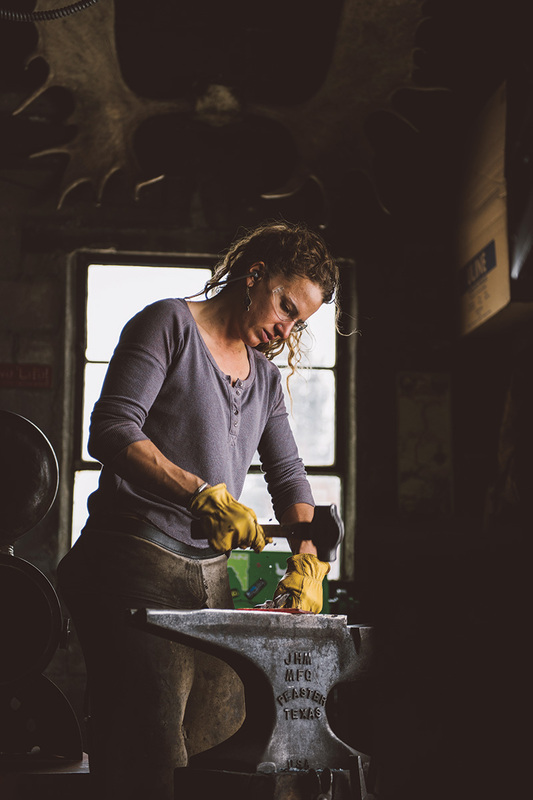 After graduating from Montana State University Horseshoeing School, Paliwoda hauled her blacksmithing setup—which then fit into the back of her pickup—into the Wrangell-St. Elias National Park and Preserve (her new home), and completely immersed herself in both nature’s wildness and her craft. With a burning need for people to hear her through her work, she decided to take her hobby more seriously. So she packed up shop, moved to Colorado, and landed an apprenticeship in Salida. “I spent hours making piles of junk until I got good,” she explains. 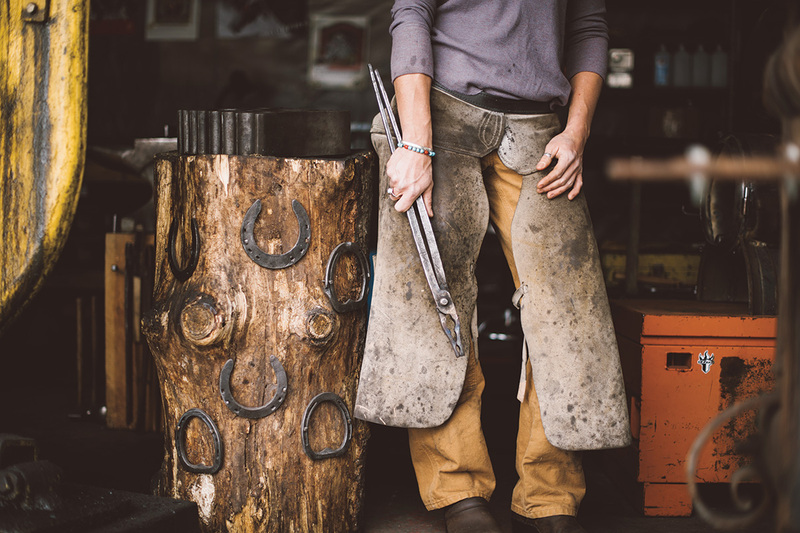 “Production work just makes you better.“ Her big break came when she submitted a horseshoe trivet to UncommonGoods and they bought it. That year, she made 4,000 trivets. 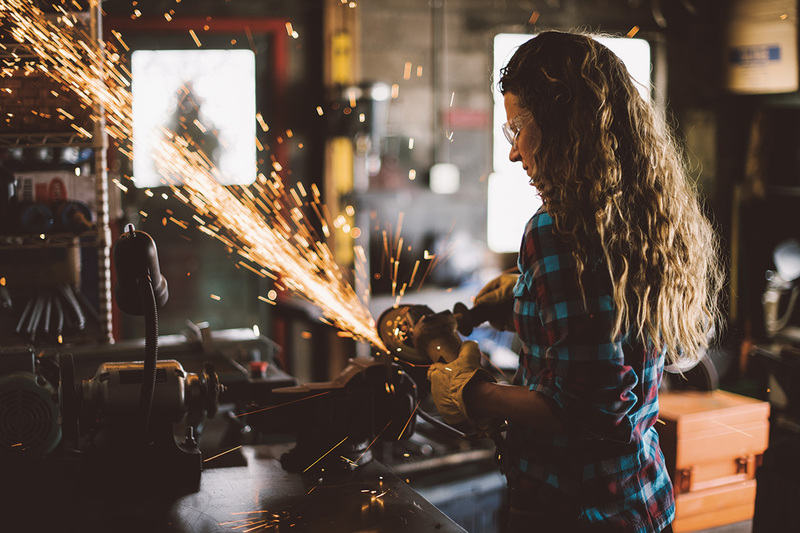 Eight years later, you can find Paliwoda in her shop in Driggs, surrounded by impressive equipment—a propane forge, two anvils, a tumbler, and a power hammer. She now has three employees, including a welder, a finisher, and a packer. 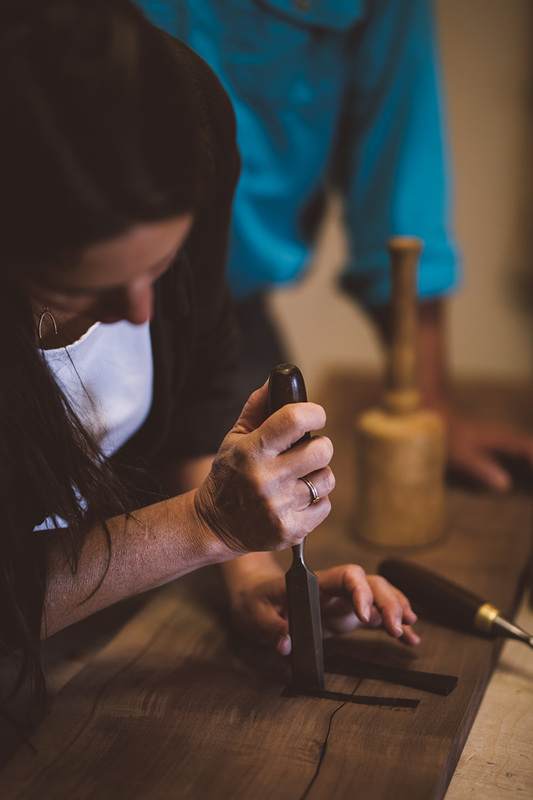 Together, they continue to make trivets for UncommonGoods, as well as Paliwoda’s other signature pieces like her Copper River Knife (a traditional Ulu Eskimo knife), her Higher Ground Belt Buckle, cheese knives, leaf hooks, platters, and other custom items for both home and business. (Check out the porch railing at the Royal Wolf in Driggs the next time you drop in for a burger.) Last year, the small shop produced over 10,000 items that shipped worldwide. “When people from Australia, to Texas, to England actually liked my story, I was blown out of the water,” she says, beaming. 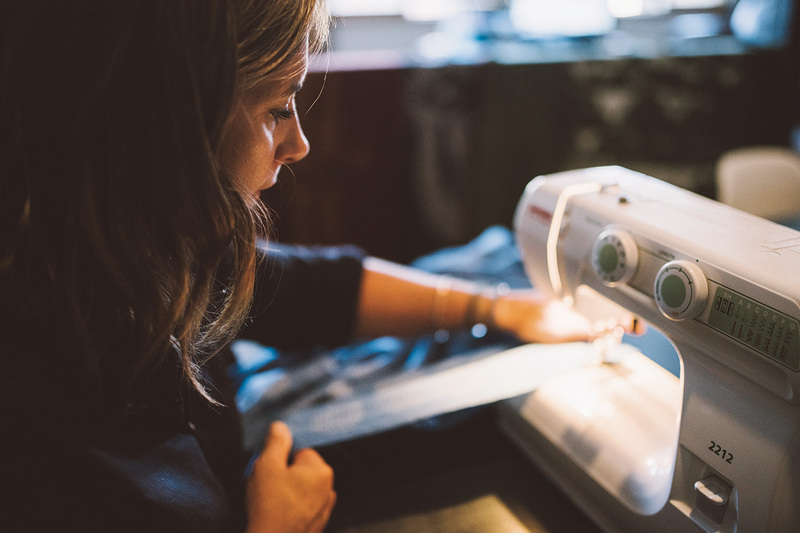 When the graphic design industry tanked in 2013, textile designer Lisa Walker, of Lisa Walker Handmade, bought herself a sewing machine, taught herself how to sew, and turned her graphic design talents into a home-based business. A Bozeman, Montana, native who moved to New Jersey at age 9, Walker’s childhood was a melding of New York City suburbia and mountain culture. But she was destined to come back to the West someday. So, after a career stint at Hallmark in Kansas City, she figured out a way to be in Jackson, make money, and travel with her kids, Niko, age 8, and Kai, age 6. 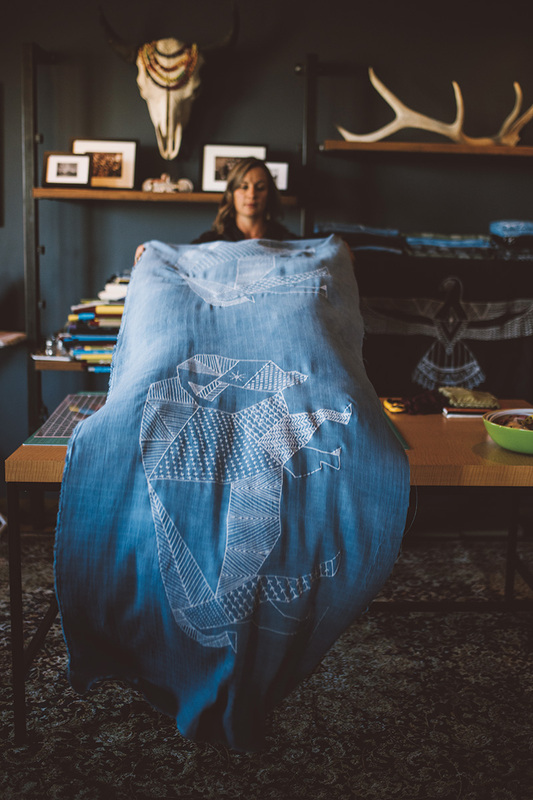 All of Walker’s hand-drawn designs—turned fabric masterpieces—are reflections of something she’s seen in her travels. Every one of her intricate screen-printed garments and accessories are designed, cut, and hand sewn by her (no Butterick pattern needed). 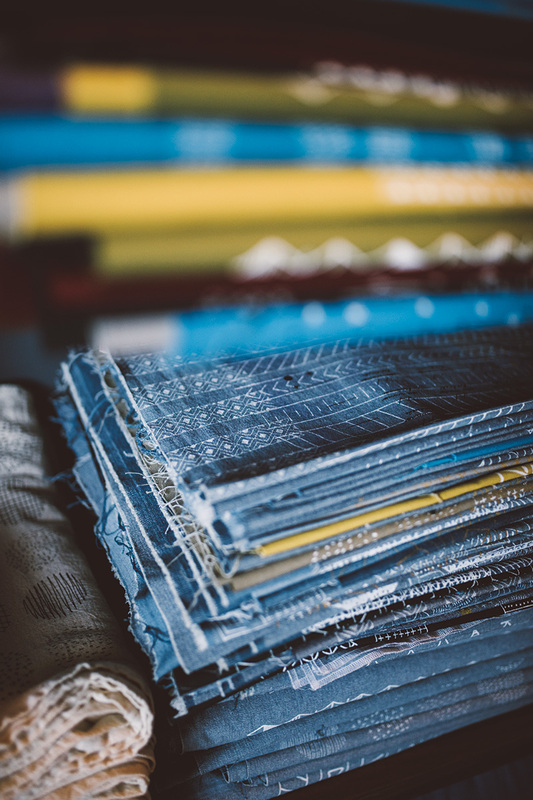 Each year, Walker turns hundreds of yards of hand-dyed fabric into coveted wraps and scarves; signature tea towels for Persephone Bakery, Picnic, and Aspens Market; and iconic wraps, embellished in mountainscapes, ravens, and buffalo. 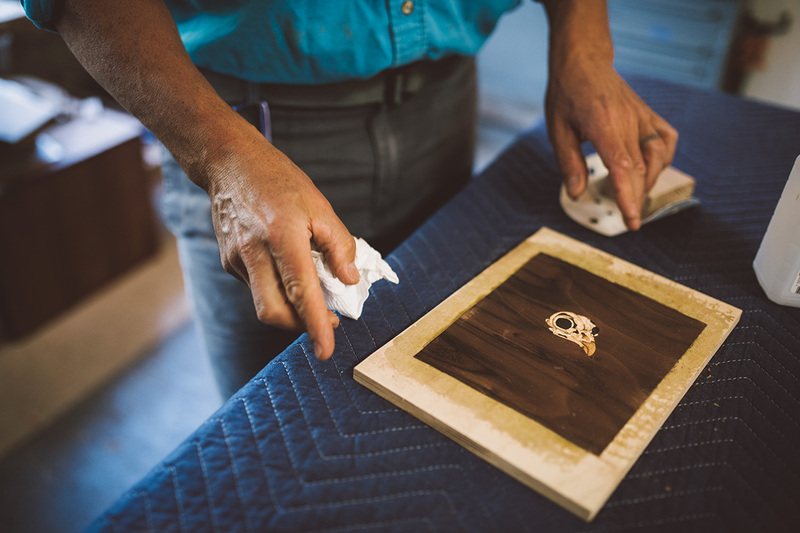 It’s a sentiment many artisans express, and something many clients desire, as they know they’re getting a one-of-a-kind piece. And that’s exactly what the Berkenfields deliver, with heirloom-quality pieces made from a mix of hardwoods like walnut, cherry, and maple, and crafted using traditional joinery techniques. You could say that the Berkenfields somewhat tripped into their profession. While living in San Francisco, Sue, a New England native with an affinity for 18th century furniture, began dabbling with wood. Simultaneously, Jim’s work with a dotcom startup dried up, and he took a job, cold turkey, with a local cabinet shop. The trade came quickly and easily to Jim, as he wrapped his head around built-ins and kitchen remodels. But their serendipitous “trip” became a path to a full-time gig when Sue applied for and was accepted into a craftsmanship program at the North Bennet Street School in Boston. Today, the couple has moved on from being baristas. 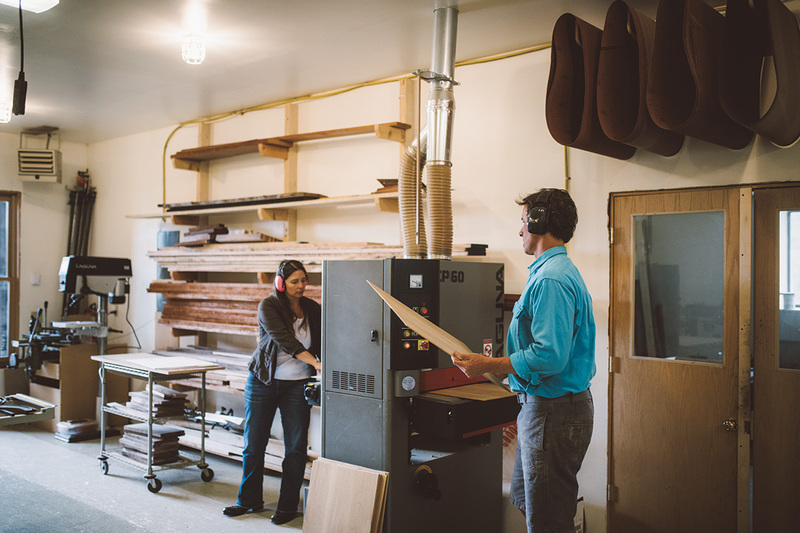 They’ve built their own shop out of a Quonset hut on their property, and they see their custom cutting-board business as a way support themselves in between the income windfalls. To be able to methodically carve out a niche, and to also pull yourself up by the bootstraps when you need to … well, to me, that’s the real deal. And it represents the overarching authenticity that folks in nontraditional communities like ours aim for.